You might just call it the vampire of the deep seas. Scientists at NOAA's Office of National Marine Sanctuaries and the Smithsonian National Museum of Natural History say they have discovered a species of black coral that can live to be more than 4,000 years old, making it the oldest marine organism living on Earth. Leiopathes annosa, which looks golden brown and has the typical tree-like structure of the genus, is found at depths of 1,000 to 1,600 feet throughout the Hawaiian Islands, including in the protected waters of Papahanaumokuākea Marine National Monument (PMNM). The Latin word annosa means long-lived. "We know so little about the deep sea that most times we do not even know what to call the species that live there," said NOAA's Daniel Wagner, who along the Smithsonian's Dennis Opresko detailed the finding in the journal Zootaxa. "Describing and assigning names to new species is an important first step to facilitate future research on these important yet greatly understudied organisms," he said. "This research emphasizes how much can be learned from studying deep and pristine environments such as those found in the remote Papahānaumokuākea Marine National Monument, of which only a small fraction has been explored." 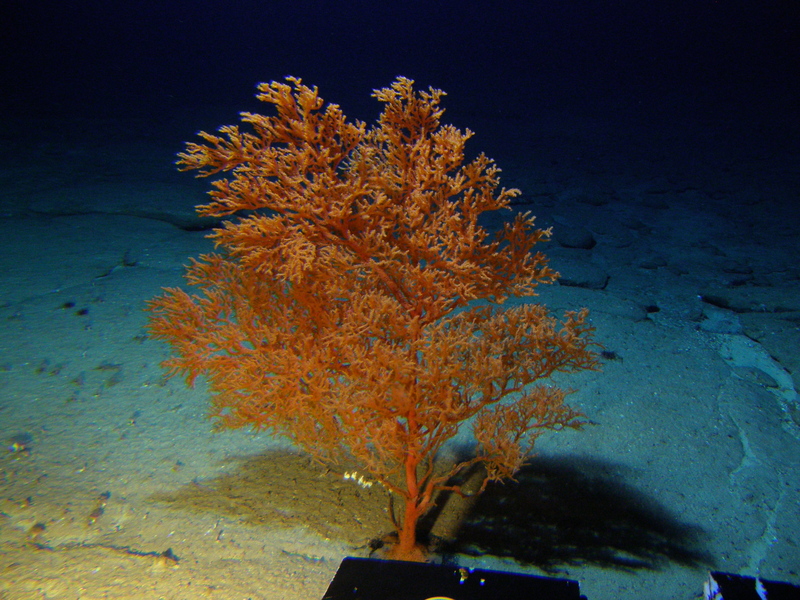 The three-foot coral was known to scientists but had previously been misidentified as L. glaberrima, a species from the Mediterranean Sea. After comparing more than 20 specimens to other specimens from Hawaii, Wagner and Opresko determined it was a distinct species. The researchers collected the black coral using the Pisces research submersible and were able to determine its age much like they do a tree, since these corals have growth rings showing how long they have lived. Previous studies of this Hawaiian species used high-resolution radiocarbon measurements on the growth rings and determined that this species can live more than 4,000 years.